It’s shocking to most that we do not own a TV. Neither have we ever. If you’ve been around this space for a while, you will know that it is partly due to my need to be minimalist. Having a screen around (and a large one no less!) to me seems a bit cluttered, unsightly, and makes me feel a bit like a character out of 1984. Additionally, they are heavy, expensive, and seemingly always upgrading to bigger and better qualities. As you all know, my life goal is to NOT spend my days keeping up with the Joneses. Historically, I have not had any strong affiliations with the tele. I am every grateful to my mother for limiting my TV time to 30 minutes per weekday, and am also grateful for her ‘forcing’ us to watch whatever she wanted to anyway, aka DragonBall Z or Sailor Moon. By taking away the paradox of choice, TV became this thing that we simply did together as a family activity, and my fantasies laid with the many fiction novels I could choose to read, instead. It also helped that my tolerance for movies and television shows lied within a small range of genres, since I could not watch anything scary, suspenseful, or action-related, unless I plan on not sleeping that night due to my wild imagination and tendency to have very vivid imagery prancing around in my head. I also disliked a lot of grossly romantic stories, while documentaries in those younger years bored me. So I only had cartoons or comedy to entertain me. Instead, I filled my time with books, from which I got my fair share of crime and murder mysteries, classic novels, and sci-fi fiction. By the time I was in high school, my life was filled with so many extra-curriculars, that I was hardly ever in the same room as a television screen. Perks of a life without TV. Frugality: TVs are expensive. No joke, but TVs these days are so expensive. No wonder people line out the door on Thanksgiving night for crazy slick deals. That’s not the life I want! TVs can easily cost over $1k. For the price of a small sized TV, you can get a projector that has a screen that would probably cost you $3k or more! Frugality: Cable is expensive. 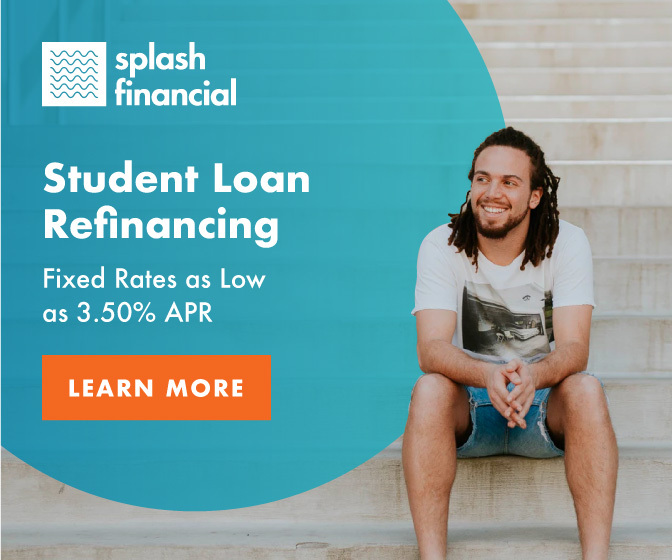 Part of the success we’ve had in paying down $550k in student debt is due to the ways in which we have decreased our recurring monthly payments. We have NEVER had cable. I doubt we ever will. I would rather spend those few hundred dollars a year on things that are more meaningful. Everything is online, these days. If we want to watch a show, we will just log into Netflix and look to see what they have. Mike’s dad has a Netflix subscription, which gives access to the gramps and grams, the parents, and the kids. If you are looking to do a subscription, may I suggest asking around and seeing if friends and family are willing to share access? Most likely, you will find someone who won’t mind, or a group of friends who would be willing to split the costs. It seems a bit wasteful for every household to pay for their own subscription. Intentional Living: Avoiding commercials and consumerism. This is a big one! Firstly, does anyone else get bothered when the program is interjected with little mini-breaks? It ruins the flow of the movie, the suspense of the series, or my train of thought while watching a documentary. Secondly, those mini-breaks are ways in which companies can stream advertisements into households that promote consumerism. Steady streams of ‘updates’ as to the products out there can only induce one thing: the need to buy. Lastly, hidden underneath those ads are socially constructed ideas about what is ideal. Subliminal messaging about gender roles, racial stereotypes, ‘covetable’ status symbols interspersed with not-so-subtle messaging about an ideal lifestyle. I would like to avoid that all-together. Nothing warms my heart more than when mothers in our dental office change the channels for their little ones every time commercials come on because they refuse to allow their kids to be influenced at a young and early age by such propaganda. Go MOMS! Intentional Living: Avoiding the news and negativity. Of a similar token, I absolutely dislike the news. Why? Not because I prefer to live under a rock. But I find that the news contains a disparaging amount of negativity bundled up in reports. I actually consider much of the news as not news at all. I recognize that all news is biased. There are motives behind each minute. The job of the news channels is not to keep one informed but rather, to keep one watching. That’s the truth of the matter. I am not less informed by not watching the news. And I am not stuck sitting on a couch thinking the whole world is falling apart. Instead, I am actively learning by other mediums, and more importantly, actively trying to create change in the every day. Instead of feeling like there is no hope, I see all the positivity in fellow, active citizens. I am motivated by the change others make and inspired by groups of people who are creating a better tomorrow, rather than sitting at home watching a worse yesterday. The most important perk of not having a TV is that it takes away from “wasted time”. If you are having trouble reaching your life goals or catch yourself mid-sentence stating again and again that you “don’t have time”, maybe it would behoove you to analyze where your time is actually going. That is the first step to fixing the time problem. I am not here to hate on TV, because this applies to a great many things, like social media and video games as well, but what I am trying to say is that maybe there IS TV time that we can cut out of life in order to achieve bigger, better, dreamier things. Here are a list of a few things that you can do in lieu of TV. Experience new things, like traveling to some part of the world, or discovering some street in your neighborhood that you’ve never taken the time to walk through before. Learn something new, like how to play an instrument or how to speak another language. Likewise, learn something new that will get you towards reaching your dream faster, like how to invest and let your money work for you, or how to do household repairs on your own to get you closer to achieving the house of your dreams. Strengthen your relationships. So many people I know lament not having enough time to be with people they care about. Cancel that two-hour TV time or that binge-watching session, call a friend, and spend some much-needed quality time. Do ACTIV-ities. Have you been saying you need to get the gym for years? Cutting out TV can get you an hour’s worth of time, which will allow you to finally get that exercise in. And it doesn’t have to be a gym membership. Why not go to the park, throw a frisbee around, kick a soccer ball, and run with the family dog? Or go to the beach, play volleyball, swim in the ocean, and kayak in the marina. Whatever it is, your body will thank you in the future for putting in the active time instead of sitting lazily on a couch. Do things around the home. Is de-cluttering on your to-do list but you can never seem to get around to it? Are there things to organize? Have you been wanting to make some home improvements, but you don’t want to hire an outside source to do them? Now’s the time! Make extra money. Okay, sometimes we DO need money in order to fuel our dreams. So instead of complaining about the money we don’t have now, why not make extra money instead of fantasizing about other people’s lives on TV? There are so many side-hustles one can pick up, and many of them CAN be related to things you’re actually interested about. Help others and make change. This, I think, is the most important and most rewarding. People always lament about “the world these days” with a slight shake of the head but nary an inclination to do something about it. I think that TV helps with that disposition of feeling like there’s nothing one can do to make an impact. But we must not ignore the power of small changes. The best things I have ever done is to try to help others, and the rewards have been plenty fold. On top of the gratitude, there is a realization that there are many others trying to make an impact as well for a better future. Getting out there and just doing is better than sitting at home and hoping. What I have learned is that the future IS a positive one, not a negative one like the newscasters would like for us to believe. Likewise, it lies not in our histories but in TODAY. How can we make the world different so that tomorrow is the world we want to see? I can guarantee it’s not by sitting at home and taking in what other people have to say. It’s by putting out there what YOU believe in. How many hours do you spend watching TV or Netflix per week? Of the same token, how many hours of social media do you consume per day? Just like budgeting money, we can also budget our time. In order to start doing it wisely, start keeping track of where your time goes. You may be quite surprised at how many hours PER DAY you dedicate towards your screens. I hope this post gets you out there and one step closer to living the life you seek! Birthdays are kind of a tortuous thing for me these days. At some point, I think we all kind of went a bit astray and, may I say it, b-o-n-k-e-r-s, with the whole celebrations thing. I understand celebrating an event or accomplishment, but the whole excess consumption tied to each holiday really bothers me. I wanted to do something very different for this year (and hopefully here on out). Over the past year, Mike and I have been struggling with trying to relate to family and friends that we want celebrations to be centered around less stuff. When we tell them we don’t want gifts, they insist that we must get something. What ends up happening is that they get us random things, or things we don’t even need, and these things literally immediately go to someone else, or get donated to Goodwill, because we do not want more stuff. So then we started to tell them specifically what things we want with an emphasis on the fact that we want to stray from plastic and excess waste. But then the packages show up wrapped in layers of colored paper and plastic ribbons tied to plastic balloons. Those who want to gift us money put them on plastic gift cards. I mean the whole ordeal has just been very difficult. We have finally come to a point where we have wrangled down the gift giving quite a bit. Our immediate families STILL insist they get us a gift, so we have an agreed upon one from each side, instead of one from each person. My family got me pasta roller attachments so I can make pastas at home, and Mike’s side got me a pizza stone and peel so I can ramp up our homemade pizza game. As for the others, I wanted a solution. It’s so complicated explaining to 30 relatives why we don’t want gifts and then fighting their resistance against our request. It was time-consuming to make a specific list for them last Christmas, and then frustrating to find that our “bar of soap purchased without wrapping” was wrapped in cellophane with bows. I am not ungrateful, but I AM almost near hysterical. When did we all get so carried away? When did celebrations become tied to wayyyy more than just gathering together to relish in the joys of our accomplishments? Why is it so difficult to untangle people’s perceptions of what a party should look like from the actual party? + A get together at a park (or beach, or home). + Sharing a meal cooked by loved ones. + A home-made birthday cake. + Sitting around a circle, telling stories or jokes. + Taking photos, or sharing old ones. + A birthday song, perhaps. + Hugs, kisses, and high-fives. This year, I got a little inspiration from Mr. Money Mustache, and we found a way to do our birthday in a very Debtist way. In the past, we would dine out with our friends and families, usually at a restaurant, for our birthdays. Each person’s meal would cost $15-$25 per person. If we weren’t doing that, someone would be throwing us a party, paying $50 for a cake, the same amount for balloons, confetti and decorations that we would trash that day, and so on. I used to count how many presents I would get each year at my birthday or during Christmas, and it would always be more than 20 gifts. I thought to myself, “Wow, what a waste to have people spend ludicrous amounts of money to throw parties and give gifts, while there are people who exist and barely have any food to eat.” So, I spoke to Mike, who feels the same torture as I, and whose birthday is two weeks away from mine, and we decided to do something different this year. We can do a world of good. For us, a simpler birthday is a more meaningful birthday. Instead of asking for gifts or inviting you guys to dine out this year, we request your help in feeding those in need! This year, we are hosting a FEED supper (erm, well, brunch…). For those who are able, we request a donation to FEED and in return, every person who makes a donation is invited to come over to our place on Sunday, July 1 at 10 a.m. for home-made pastries and coffee! I have gotten into quite the baking habit and Mike makes wonderful coffee selections from local coffee roasters. The best present for us is getting together with you. It’s hard to believe that over 40 million Americans are food insecure, meaning they don’t know where their next meal is coming from. We can do something to change that. Please consider making a small donation before attending this FEED Brunch, where we can celebrate our collective impact together. It only takes a little to make a big difference. By giving just $10, you can provide 90 meals to American families through FEED’s domestic giving partner, Feeding America. Our goal is to raise $500, but if we go over, even better! 100% of the proceeds will go towards Feeding America. Learn more about FEED Supper at feedprojects.com/feedsupper. We love you, and we appreciate your help in making a difference in the world. The letter links them to a website where they can make a donation of their choice. We have also invited them over to our house for pastries and coffee on a day between our birthdays. It’s something simple, but also something Mike and I are passionate about! We are very excited to see familiar faces, not only to celebrate our birthdays, but also to celebrate our impact! Even after all of this, we were still asked to go out on my birthday to grab food by friends and family members. It took everything I had in me to flat out decline. It’s so hard to say no because you see the disappointment in their faces and hear it in their voices. But I had to stand my ground, otherwise I would have been the unhappy one. I gave them the spiel about how I did not want to do ANY spending on my actual day of birth. I emphasized the fact that we created the event to bring awareness to the excess consumption that advertising and social media has melded with the idea of celebration. I offered alternatives, such as joining us for a hike, or a bonfire. Interestingly, no one took us up on our offers, not even my parents. My mom was insisting we go out for breakfast at Lola’s Cafe, and when I said no to that, she insisted going to Breugger’s Bagels, because it is a cheap way to celebrate. She said, “We just want to spend time with our daughter on her birthday.” But when I declined again and asked if we could hike or go to the beach instead, she said they were busy. I think doing something so mundane was not considered a celebration, even though the celebration itself is internal, no? Anyways, yesterday ended up being a good day. After helping my patients at work, and visiting with my family for an hour after work, Mike took me on a three mile hike to circumnavigate the only natural lake in Orange County. We then went home and made pasta. He had previously picked up a Coffee, Whiskey, Peanut Brittle Ice Cream from Kansha Creamery on his way home from work Friday (in a re-usable container, off course) and we dipped into that with a week-old left-over slice of cake from my mom’s end-of-the-school-year party. It was, I think, very reflective of the things I valued and what I envision my life to really be about in the upcoming year. More importantly, it was what made me happy. It’s a slow process, and maybe people will never understand the repercussions of our extravagant, Great-Gatsby lives. At least this year, I didn’t have to contribute.